You're on a sinking ship with your wife and your favourite bike. You've got one chance to save either your wife or your bike, which do you choose? The Assos official bike is produced by Goomah, the word Goomah means mistress, as popularised in the American TV series The Sopranos. I wanted to get a sense of the usage of Goomah on the street, I delved a bit deeper and found this vivid description in a post on NY Mag's Mating Archive. "This is the difference between a wife and a goomah," Frankie Boy says. "You're on a ship with your wife and your goomah, the ship's about to sink, and you can only save one. Who do you save? Your wife. Because your goomah, she understands." Elegantough - a word contrived by Goomah is conspicuously inscribed into the black Goomah G733, in gold on white team graphics. 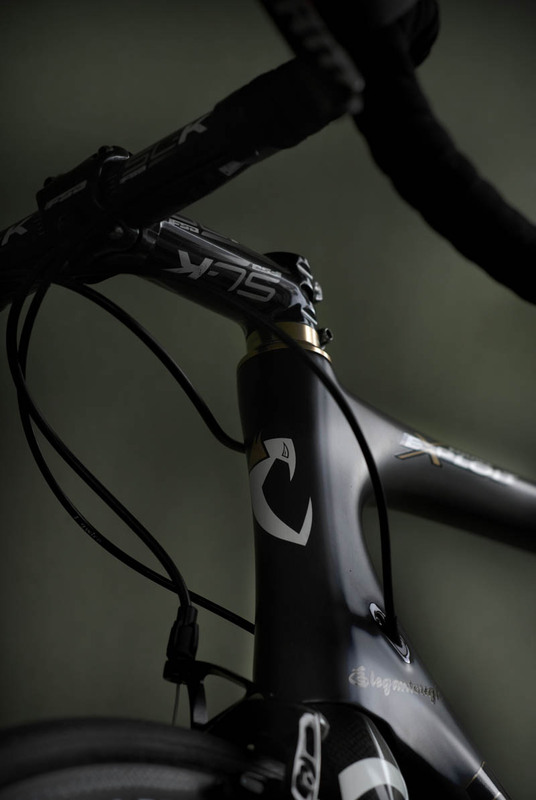 I spent some time photographing an Assos équipe Exploit Werksmannschaft Goomah built team bike. At first you don't notice some of the smaller gold details, each one slowly revealed as you become more familiar with what's in front of the lens. 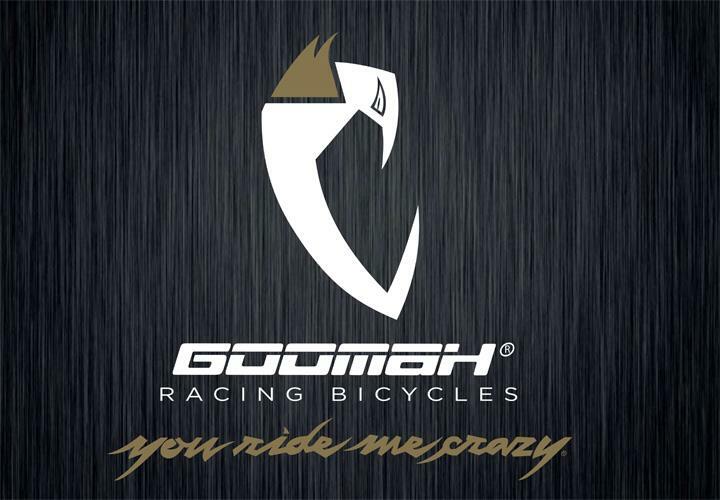 After all the bike is named after what Goomah call "a Mafioso's mistress", they stole their meaning of Goomah straight out of the Urban Dictionary. "Goomah / goo 'ma / 1a Mafioso's mistress. 2 our racing bike. The urban dictionary defines goomah as a Mafioso's mistress. Since we and all our friends are devoted corridori (racing cyclists), we could think of no better name to give our two wheeled passion." How to Pimp your Goomah bike Assos style, use gold decals, gold bidon cage bolts, gold headset, a gold seat clamp and finish with FSA Hollow Carbon cranks blinged out in gold. 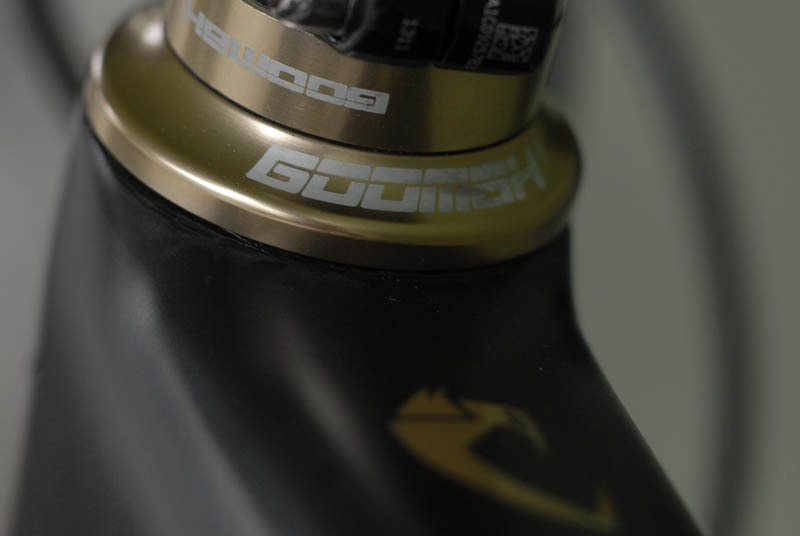 Pimping out a Goomah bike requires more than just gold coloured components. 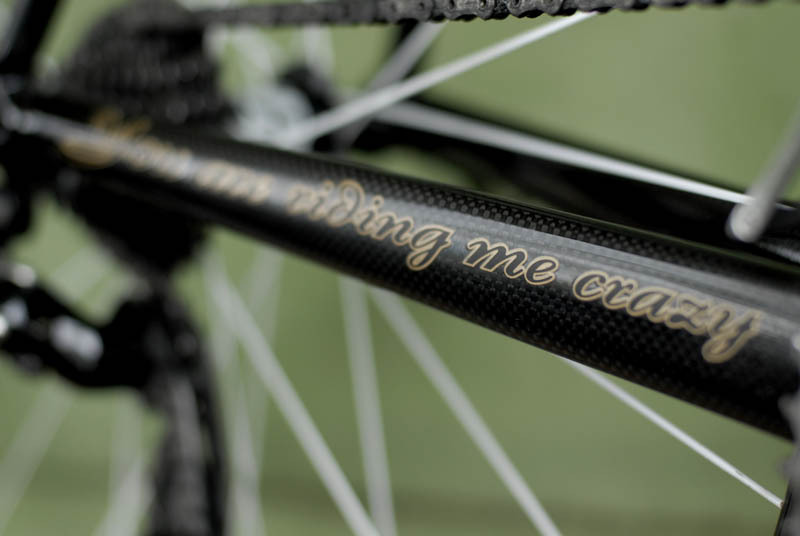 For bike and rider, Goomah have emblazoned their own mating advice into the paint, "you ride me crazy" or this "you are riding me crazy." My mate Roberto has spent most of his life racing in Italy, now living in Australia he gets about on a Canyon Katusha team bike. Since recently arriving in Brisbane Roberto is always asking me, why everywhere he goes he sees mostly Trek or Specialized bikes, Roberto told me these brands are not so familiar around his previous home near Lago di Garda. So when we dropped in for a coffee stop one morning, there was this Goomah bike standing out like a sore thumb. The Goomah was pimped out with gold bling on black. Half expecting to find the Goomah's owner self decorated in gold adornments, we tracked him down and found out more about his Goomah and the Assos test team, équipe Exploit Werksmannschaft. This bloke seemed to know a lot about équipe Exploit Werksmannschaft, he let me photograph his Goomah G733, answered my questions then disappeared. How long has équipe Exploit Werksmannschaft been testing equipment for? The Werksmannschaft is now in it's third year. Motivation for Assos gave us the big advantage to have some riders that test for four to six hours every day the new products and prototypes, then give direct feedback. We recruited riders from Italy and Switzerland. It's a big challenge to produce clothing for many different product lines. The idea for the équipe Exploit came jointly from Assos and Goomah. There's a role for the team to test the bikes as well as other products, including DT Swiss, Prologo, FSR and Schwalbe. For the pro cyclist their goal is to win races, not to test gear. Many of the pro riders that you speak to don't really have the ability to give the right feedback. So this is where our test team comes in, their role is one of giving direct expert feedback. Obviously once you collect data on various products this has to go back to the technicians, what's the process for implementing and correlating this new information? It was completely new for us, we had to develop test formula's, so we had to have one person co-ordinating our road lab, so we chose ex pro racer Danielle Nardello. Nardello has the ability to impart his experience into his feedback and feeling for equipment, he also co-ordinates all of the rides and feedback from others. The innovation at Assos comes from the feedback, not from design, this is the reason why it takes up to seven years for new product lines to emerge. We test, test, test, because the expectations are really high. The clothing engineers might come up with a new idea, so you need a big test reference group for feedback, not one person can give you feedback, it's too personal, the reference range has to be broader. It's not easy to come up with a new jersey, shorts or wind jacket. You have to test the materials over a long period to see how different textiles work together in the one garment. The team is based in Lugano, so every day they are out on the road putting in the hours. Sounds like a dream job. The team also compete in Gran Fondo's, how many would they participate in each year? The last year we had about twenty days in races, we also rode in a mountain race in Majorca with ex pro's and pro's, guys like Eric Zabel were there and an Aussie Rowan Dennis. Some of the Gran Fondo's in Italy have live television coverage, it's amazing you cannot understand this, like they are big races! Does that make it a value proposition to promote Assos, or is it mainly to test clothing in a race situation? Assos is the only cycling company to have a test team, other companies or federations cannot believe that Assos pay riders only to test equipment. There's six or seven guys who are paid only for testing, not for riding or racing, just testing. The Gran Fondo and other races are an addition to the testing programme, the team just really enjoys racing. On any given race day the riders are given different new prototypes to test, there is a little bit of marketing in there too. If the team riders are seen with say a new sock design or a different bike frame you get comments like "what is this bike frame, I didn't before see these DT Swiss wheels or that different look Schwalbe One." Other brands realise it's a good project so they are coming on board to test their products, we tested the Schwalbe One for six months before it was released. But it is a long way, it's not as simple as giving new products to the group for assessment, you need to have a process, a framework for certain criteria, dependent on the product. The feedback process needs to be stringent in order to gain a meaningful outcome. You need a really straight concept. There's no point collecting feedback if you don't have a system to use it, otherwise it becomes meaningless. Where's product development heading now for the team? Some products come from the test team, for example we tested various shoes which were not so good, then went to Lake and worked with them on developing them further. This year is the first year that we have Lake shoes which the team helped develop. Can you buy a Goomah bike like the team uses? The team is also a little bit of a marketing tool, all of the stuff they use, you can buy it. If you want to get hold of say a specific Omega Pharma Quickstep team bike, exactly the same as one specified for a particular pro team rider, it's impossible to get it. Here the big advantage is, you can go into our Exploit Service Course store in Lugano and you can buy it. Some guys do it, they come from France from Germany, from Italy, go to Lugano and buy exactly these bikes. Some guys are fanatics, they might see a yellow bike on say our facebook page, there's a gran fondo series in Italy, we won the series, the yellow jersey. So we did a yellow Lamborghini bike, it was not available to the public, three guys came to Lugano wanting this yellow bike, these fanatics they were told "we cannot sell it", they all said they wanted it and just had to have it. With Gran Fondo racing , what's the level of competition? One of our riders was really strong in the first race last year, he had a completely white jersey, towards the end of the race he went out hard on a hill and was in the lead. The police pulled him over and said out get out of the race, the rider said but I've got a number, because in Italy the jerseys are like a carnival and his was plain white, they did not believe him and it took him a couple of minutes of heated discussion to convince them he was actually in the race, so they let him go on. Some of our guys who are really fit ride the longer distances and some riders compete in the shorter distances. The level is really similar to the professionals. There are a lot of Gran Fondo racing teams in Italy, you can get paid to do Gran Fondo racing, sometimes make more money than if you are on a pro team. It's really competitive. The goal of the team is more and more to enjoy the special long tough and hilly races, last year we raced the 24 hour race on the grand prix track at Nürburgring when you race a 24 hour race on the Nordschleife, you have all the conditions, sun, rain, almost ice. To clarify, one lap of our race was the combined Nordschliefe and grand prix tracks at Nürburgring, making up a total lap for both tracks of 26km. That was one of the most followed races in Germany, there were more than 30,000 spectators enjoying the race for two to three days. The team is made up of eight guys. It's the best way to test some new innovations. We won that race with two laps up. It was great to test the new Goomah, it's great in the descents, on that track you can get up to 100 k's an hour, in fact we set the track speed record of 101 kmh. The Goomah, it's stiff enough in all other areas, the philosophy is "if it works at 101 kmh, it works for anything else". Some of the riders used the extremely lightweight "emergency vest - base layer", you'd think it wouldn't be enough in the rain and at only six degrees. This is the idea behind the Assos climate range with seven layer choices. In 2014 we will also compete in a 24 hour race on the Le Mans grand prix circuit. What's the history of the Goomah bike? 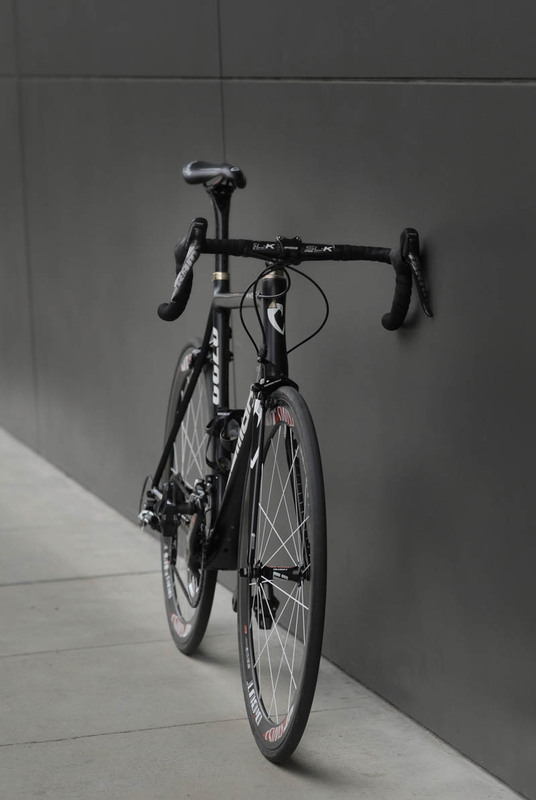 Assos needs a bike, you can't have clothing and a test team without your own bike. 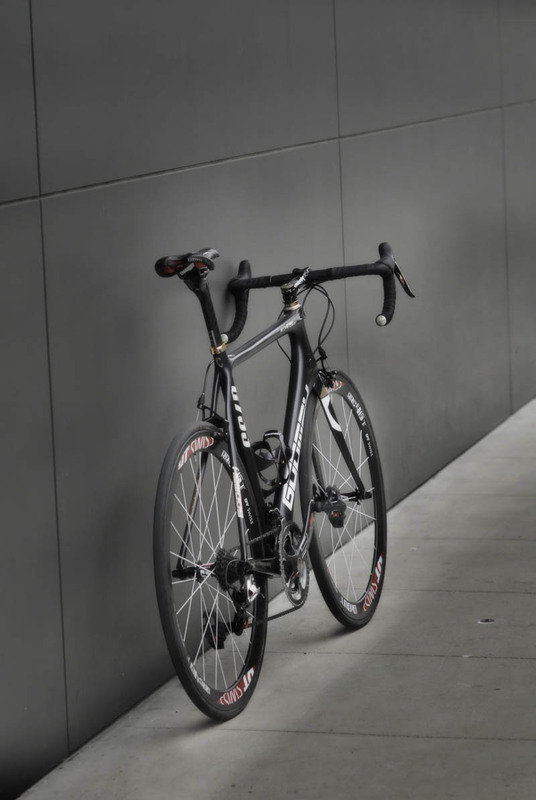 We started to work with a bike company and that didn't work out, so we were after a superior quality, the expectation for Assos is that we produce a high end product. So we thought it's not so difficult to make a good bike. When you have passion for cycling and ideas and you work on it every day, we decided to develop our own brand in conjunction with another company. It started as a hobby more or less in 2010, we produced the first prototypes, the development of the frame has now evolved significantly from the first designs. Goomah is an Italian slang word, Italian emigrants moving to America a hundred years ago, they made up this new word for mistress, Goomah. Basically we all have a relationship with our bike, we are careful with our bike, every week have to clean our bike, ride it, it becomes special - like a mistress. Assos and Goomah seek to make a different concept, it's a more interesting story to align the brand with. So it fits with the Schnecken Panzer philosophy then? Or Cuckoo-Penthouse, or Sturmprinz - (Attackprince), for that matter! So if you are a big fan of Assos you need a Goomah, it's a completely integrated design, it completes the picture. If you're a devoted Assos fan, how do you buy a Goomah bike, are they totally accessible now, or do you have to go and line up at the shop in Lugano and pine away like a lost dog until someone will sell you one? We have only one bike frame, two group sets only. Customers can buy their Goomah direct online. In some Assos pro shops in Europe Goomah's are available. We don't want to push it too hard with Goomah, because Goomah should be a unique brand. The problem with premium bike brands is that they are not really premium. Take a look at the automotive industry with their premium lines like Mercedes AMG or BMW M. More or less the Assos customer wants to have access to unique style, that is the idea behind Goomah. In that way Goomah will remain unique, with it's own unique style, not a mass produced product. The other thing is simplicity, you can buy the Goomah with either Sram Red or Shimano, so we keep it simple. More and more équipe Exploit is heading off with their Goomah bikes to new countries, to Spain and France, it's a tool for the distributors as well. Perhaps we'll come to Australia, Aussies could enjoy a bike ride with the team and in that way we support the local distributor. You can't get this access with pro teams, we can decide when and where the team travels and then access to the team is open and easy. By now The Russian had joined the conversation and dropped this one on us. Are you still doing those famous custom jobs where teams bring their knicks to Assos from other manufacturers, rip out the chamois and refit with Assos chamois? At the beginning of the season you can go to the airport and you can see every team arrive, they come and say hey here, thirty or sixty pairs of shorts, can you change the chamois. It's common knowledge. I photographed the Goomah bike and after it's owner disappeared it was too late to ask the most important question. When can I come and join équipe Exploit? Surely this must have to be the best job on the planet, ride bikes and test new gear all day long, then talk about it. Some équipe Exploit results from last year's two top guys. Full disclosure, the Aussie Assos distributor, Echelon Sports gave me a pair of S7 Equipe shorts to test. I'd mentioned them in the post, Assos Special Mission Pants and promised you a review of the shorts. To put this in perspective, I started racing in 1975, back then we raced in wool knicks, with genuine chamois that came from the hide of an animal, not synthetic, eventually it would cut into you if it dried out or you didn't use chamois cream. Next up in Australia you could buy Parasport knicks, made of a synthetic material, thick hot and they just didn't cut it, the wool ones seemed better. By the time we got to the early 80's you could go and buy the most expensive knicks, they weren't wool and they were the best, they were Assos. Anyone who remembers using Assos in that era will also remember how long the Assos knicks lasted. The Russian even loved them back then, he wrote on our facebook page "My first Assos shorts cost 25 Soviet made tubulars". For me the comfort level provided by any manufacturers knicks has always been important, especially when racing long races day in day out. 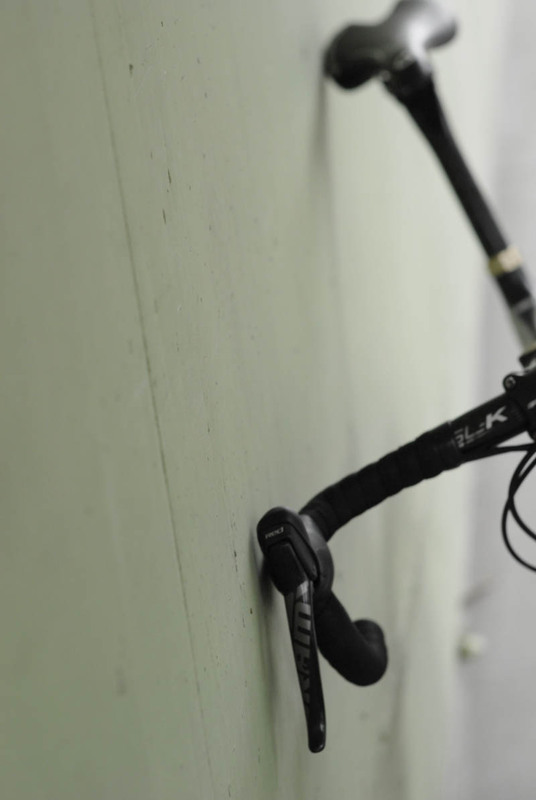 Not to mention the contact points, hands, feet and saddle .. where you can give inputs into how the bike handles. Perhaps you're from the school of thought that the cheapest knicks will do, and wonder why you end up with saddle sores, plus look like, and feel like you can't control your bike. Alternatively you've got your cheap as chips knicks, when you go to sit down the excess material gets caught on the nose of the saddle and you wobble all over the road or crash, you wonder what happened. Or you could take a look at how comfort and controlling your bike comes into play with what you wear on the saddle. I've had a chance to wear the S7 T Equipe knicks on some longer special missions, plenty of climbing and descending and rides up to 180km. After nearly forty years of testing cycling knicks, I reckon the S7's are at the top of my list (I also once worked in the Swiss cycling apparel industry for a small manufacturer in Gossau - Forice Sportswear, their knicks were pretty darn good by the way, guys like Beat Breu and Bernd Groen used to come in the back door and have special knicks produced). Absolute minimal slipping about on the saddle, just the right amount of padding, and the inner layers conform to the shape of your body. The Assos "Golden Gate" concept works well here. The gripper is generous and doesn't cut into your leg, and the new concept of making one seam at the back essentially with the legs forming a tube gives exceptional comfort with the perfect amount of compression. The low cut bib and brace is a standout, adding to the comfort level. Sure the Assos gear is a bit pricey, but what they deliver performs over and above. The Equipe shorts are close to perfect, but you can see with équipe Exploit, Assos will continue to raise the bar even higher. Thanks to Assos, cycling clothing has reached a new era of refinement.